Four out of Five Senses: LUSH H’Suan Wen Hua | Bright & Beautyfull! Because I am not going to taste any class of beauty product, not even for you, beloved readers. 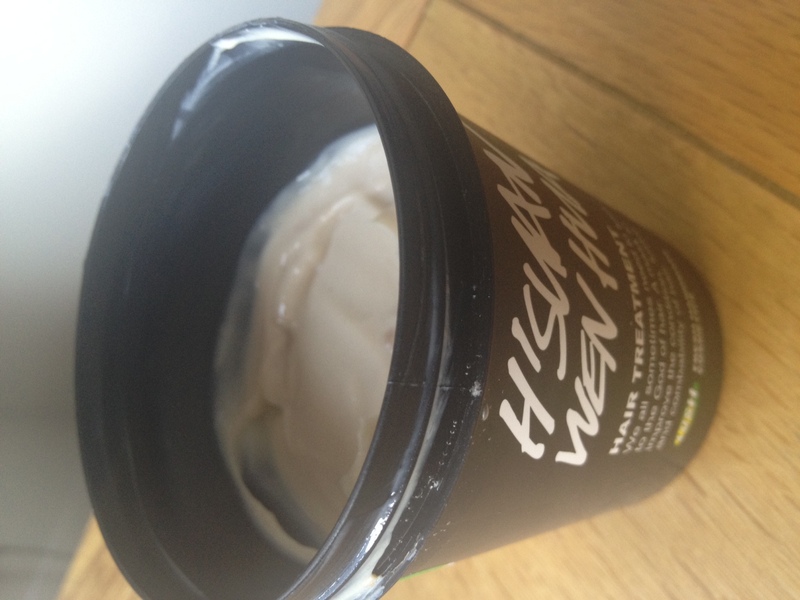 This is H’Suan Wen Hua Hair Treatment by LUSH. A bit like custard, only beige. It’s got avocado in it, and balsamic vinegar, and watercress — a veritable salad for the hair. Apply it to dry locks before showering and let it do its intensive hydrating for twenty minutes. It felt a bit light, which turned out to be a good thing, due to the amount of hair that sprouts out of my skull. There’s a lot to cover. One third of the pot, not bad. Its lightness translated into excellent coverage, so that a little bit went all the way. The smell? Slightly odd. Sort of like lapsang souchong tea — smoky, a little bacon-y, which I completely do not understand. There are eggs in this too, so maybe they are the culprit? Is it sulphur? Shot in my favourite location, the back of the 46A. Look, so shiiiiiny! 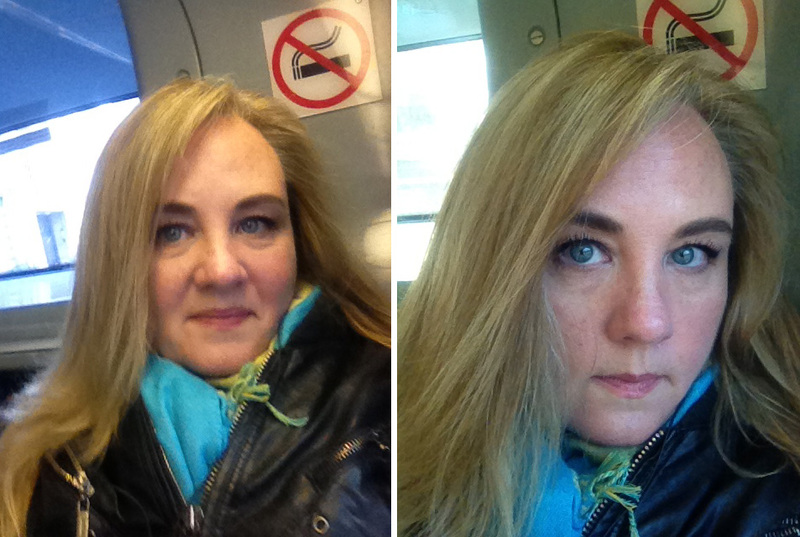 And sleek, and the highlights, popping even more than they did the day I got them! Highly recommend, even with the odd fragrance. And it felt crazy-soft, and still does, two days later. I can hear you saying, Yeah, and the sense of hearing, Sue? I don’t know how to pronounce the name of this! So there. What’s it sound like to you? 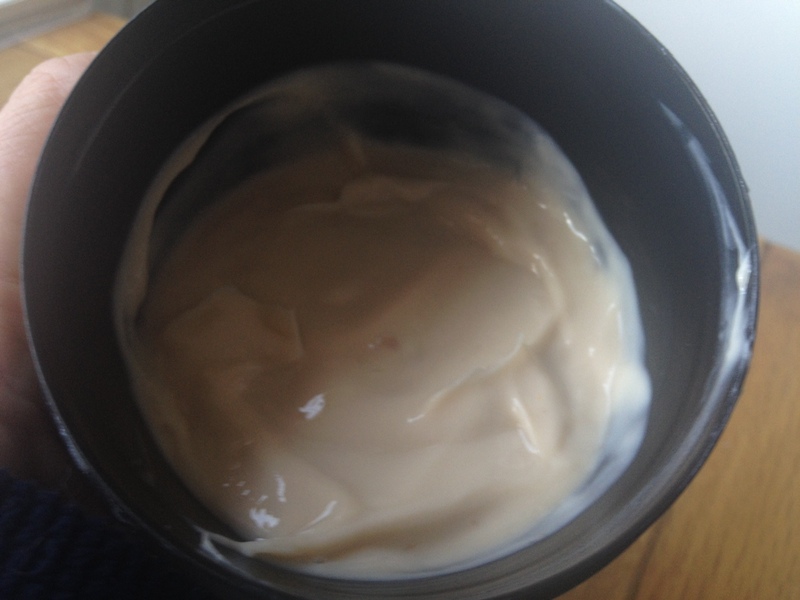 Sounds like: if your hair needs a comprehensive conditioning, you better get some of this. Try Marilyn if you haven’t already, it’s great for blondes and smells only grand! I sprayed the be-jeezuz out of the hair with the Moroccanoil spray, and it helped with that stank. Because it is stanky. Pingback: When All Else Fails, Talk About The Hair « Bright & Beautyfull! Pingback: Snap! Judgement: Lush Happy Happy Joy Joy Conditioning Hair Perfume | Bright & Beautyfull!